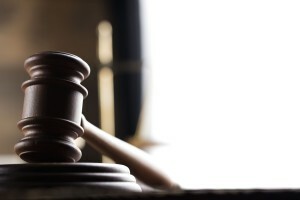 With the much-anticipated trial of former assistant coach Todd McNair versus the NCAA underway, Lizelle Brandt provides expert legal analysis covering the first week of the trial. PODCAST: Click HERE for full podcast (also available here on iTunes — 04/29/18 podcast). TRANSCRIPT: Click HERE for edited transcript. WeAreSC.com’s Garry Paskwietz and Lizelle Brandt discuss the latest developments in Todd McNair’s lawsuit against the NCAA and how they relate to USC. Listen to the podcast here. In this second installment to the Trojan Law Blitz series, Lizelle Brandt discusses the upcoming motion to seal issue in the McNair v. NCAA case for WeAreSC.com. Check out the video here. Trojan Law Blitz with Lizelle Brandt: McNair v NCAA, A Recap. 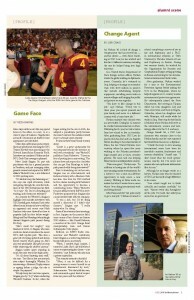 McNair Backstory by WeAreSC’s Lizelle Brandt. Check it out here. Lizelle Brandt was honored with the President’s Award, which is the highest award the USC Alumni Association bestows to its alumni at its annual Volunteer Recognition Dinner. 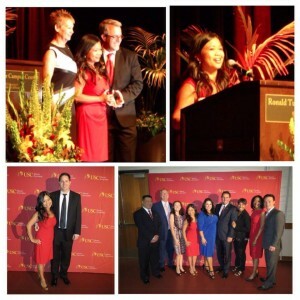 Lizelle is President Emeritus of the USC Alumni Club of San Gabriel Valley, and served as President of the alumni club from 2012-2014. Read attached excerpt from the program profiling her here. 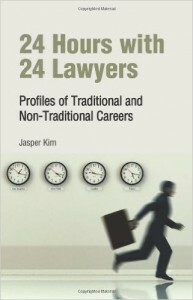 Lizelle Brandt was selected as a featured lawyer in the legal trade industry book, “24 Hours With 24 Lawyers,” by Jasper Kim (West, Aspatore Books). Get your copy here! Lizelle Brandt was profiled in the article “Game Face” by Rizza Barnes in USC Law School’s Deliberations Magazine. Read the excerpt from the magazine that includes the article here.